Contemporary Controls China will be attending the China Refrigeration (CRH) show from April 8- 10, 2015 at the Shanghai New International Expo Centre, China. 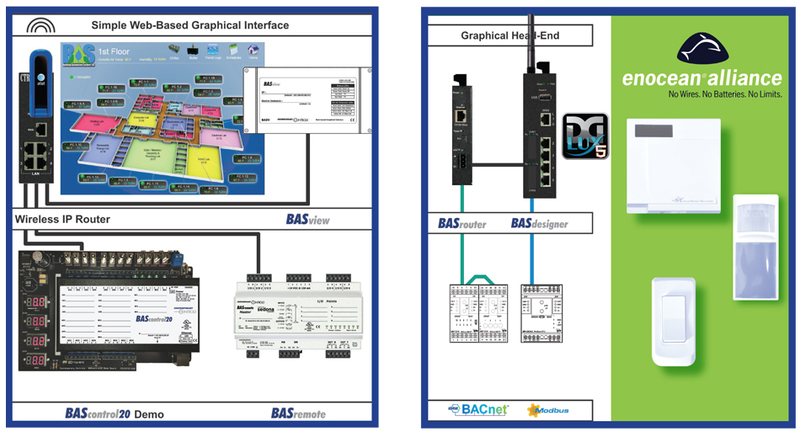 On display will be network communication products from the BASautomation product line. Stop by booth W5A13 to see our economical network communication solutions. A sophisticated graphical head-end can be found in the BASdesigner. Powered by DGLogik, the BASdesigner has a HTML5 user interface with impressive graphics along with trending, alarming and scheduling. It is BACnet/IP compliant with two resident opto-isolated serial ports that can integrate to Modbus RTU as shown connected to a Cube I/O. 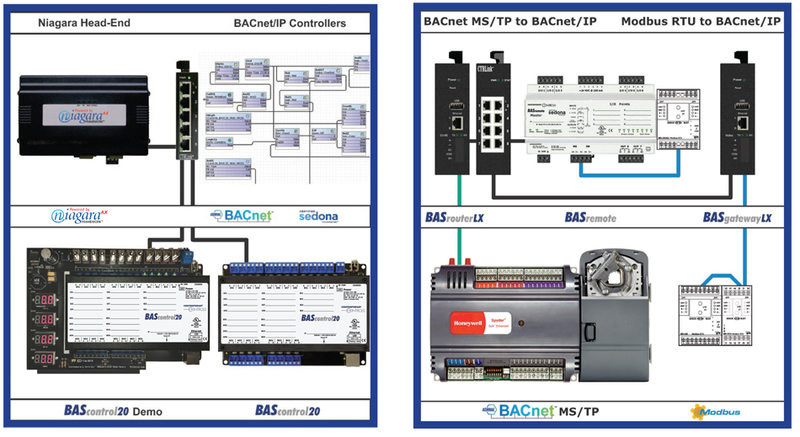 Using a standalone BASrouter, a connection is made to a BACnet MS/TP Cube I/O. Two Gigabit Ethernet ports reside in the unit-one with a four-port switch. In addition to wired connections, The BASdesigner has two wireless ports - Wi-Fi and Enocean. The BASdesigner is ideal where a comprehensive head-end is required along with wired and wireless connectivity options.